We recently wrote about our range of suspension kits and how good we and our customers around the world think they are. If you have thought your TR2-3 could benefit from a front anti roll bar but not the size used for our usual fast road or race kits then RevingtonTR now have the answer for you. 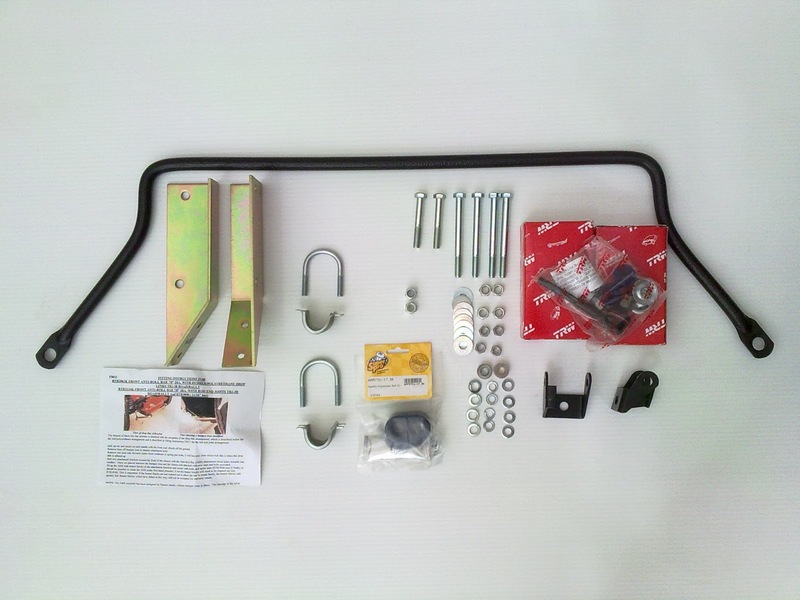 We have now developed a limited edition Front anti roll bar kit for TR2-TR3 that uses an anti -roll bar from a TR6 together with new bracketry and fixings from RevingtonTR. The 5/8” anti - roll bar has been powder coated to improve life and appearance and will also improve the handling at a reasonable cost. That’s a win win situation in our book. Why not have a look at the kit RTR3050 via the attached link and get your order in today. This is a limited edition kit and we do not expect it to be around long. View or Order RTR3050 by clicking here. Blyton Test Day June 2013- A Short Video. Blyton Test Day- And What a Day!